Last night was a blast! 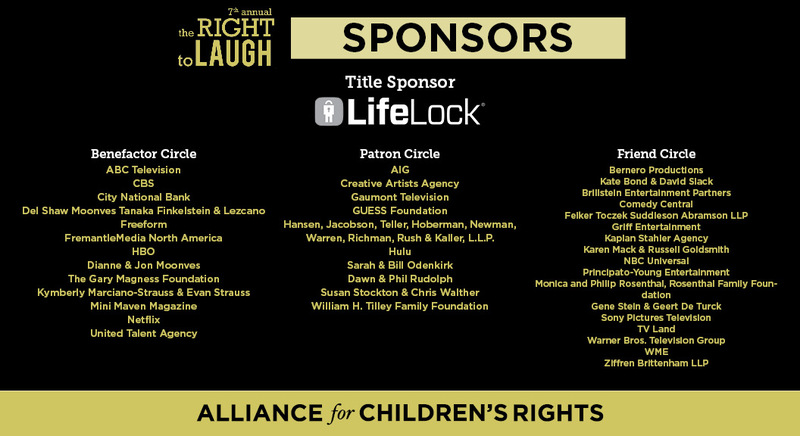 We are filled with gratitude for everyone who made our 7th Annual RIGHT to LAUGH comedy event a huge success by helping us raise over $300K! 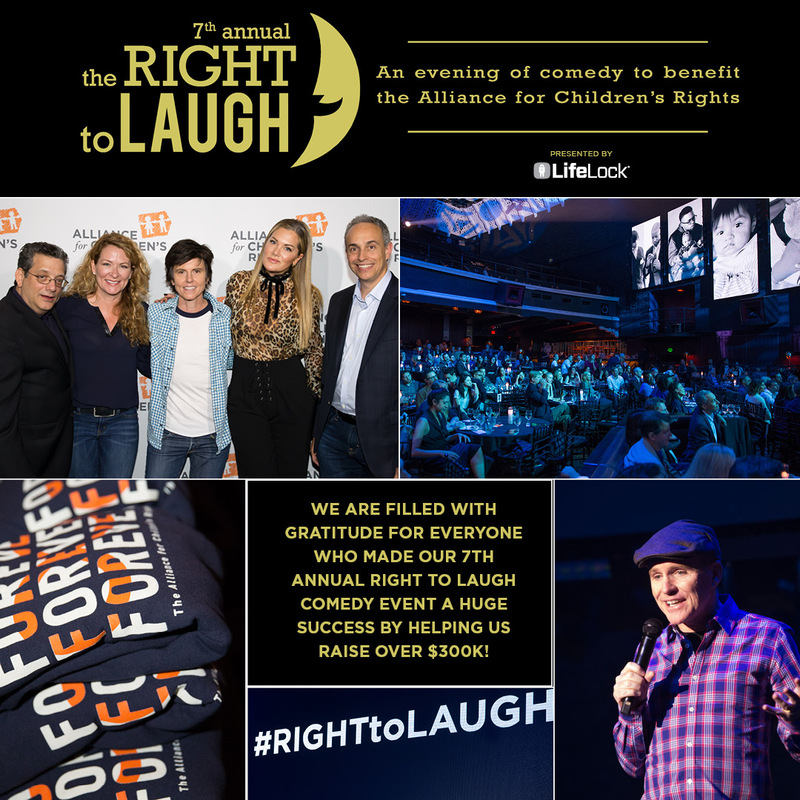 Andy Kindler, Sarah Colonna, Greg Fitzsimmons, Anthony Jeselnik, Tig Notaro, and Wanda Sykes donated their talents by performing killer sets, while emcee Gary Bryan kept the show moving. 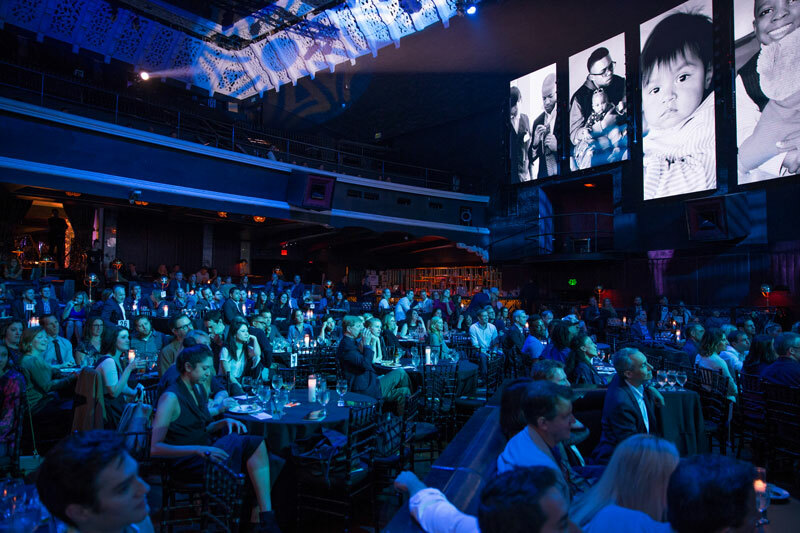 Guests enjoyed complimentary cocktails and decadent desserts at the Avalon Hollywood. We auctioned off limited edition FOREVER hoodies featuring an awesome new design courtesy of Studio Number One, founded by Shepard Fairey. The hoodies are free with a minimum donation. Get one now! Finally, huge thanks go to our event co-chairs, Peter Benedek, Kymberly Marciano-Strauss, and Gene Stein. 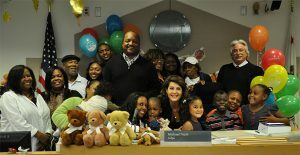 Thanks also to our fabulous committee members and sponsors (see below), including title sponsor, LifeLock. 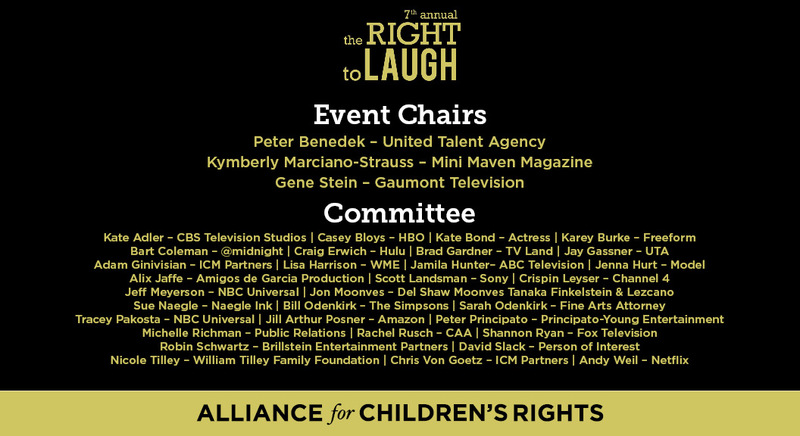 This entry was posted in the RIGHT to LAUGH and tagged #RIGHTtoLAUGH, Andy Kindler, Anthony Jeselnik, Avalon Hollywood, fundraiser, Greg Fitzsimmons, Sarah Colonna, Shepard Fairey, Tig Notaro, Wanda Sykes. Bookmark the permalink.